Kansas Secretary of State Kris Kobach is among some Republican politicians considering a bid to succeed Gov. Sam Brownback as governor, although the filing deadline isn't until June 2018. Earlier this week he told The Associated Press that he would announce his intentions in the next couple of months. 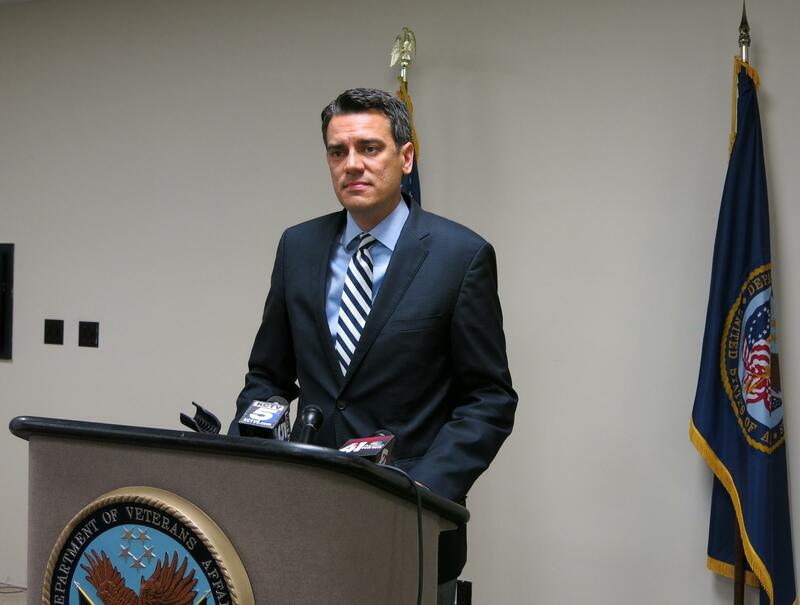 Kansas 3rd District Congressman Kevin Yoder is among possible GOP candidate for governor in 2018. Kansas 3rd District Congressman Kevin Yoder isn’t as direct about it, but he’s also eyeing the race. “I think we need someone who can unify the Republican Party and has the ability to lead a divided state,” Yoder said. Kansas Attorney General Derek Schmidt is also a possibility. 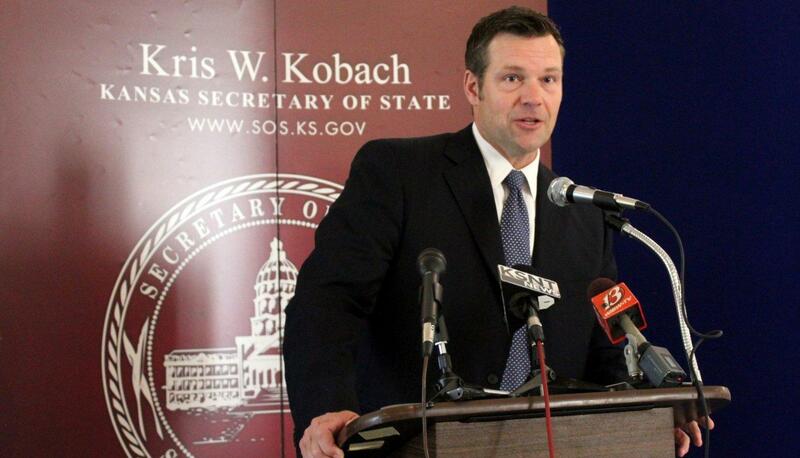 The conventional wisdom says that Kobach is the best bet to run among those three. Insiders say his recent decision not to take a full-time position in President Donald Trump’s administration is yet another signal. If Kobach — a high-profile conservative — gets in the governor’s race, some moderate Republicans may press Yoder to commit, thinking he would have broader appeal in the general election. 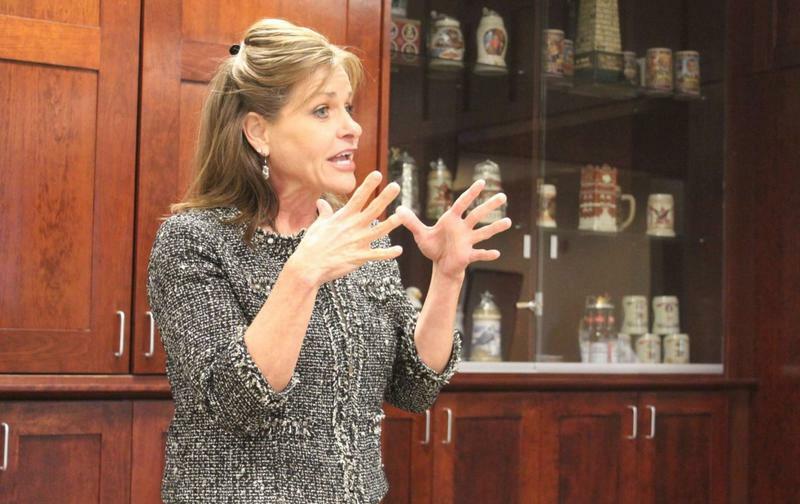 As for Schmidt, the current thinking is that he’ll choose to stay as attorney general rather than take his chances in the governor’s race or the contest for the 2nd District congressional seat being vacated by the retiring Lynn Jenkins. Ed O’Malley, a former Republican legislator from Johnson County who now heads the Wichita-based Kansas Leadership Center, has traveled the state for listening sessions as he considers a campaign for governor. Ed O’Malley, a former Republican legislator from Johnson County who now heads the Wichita-based Kansas Leadership Center, isn’t just thinking about the race. He already has formed an exploratory committee. Most would consider O’Malley a moderate. But as he travels the state on a listening tour, he said he doesn’t want to be saddled with that or any other label. “I am purposefully trying to make sure we don’t create any barriers for people engaging in this listening effort, so I don’t plaster the party affiliation on everything right now because I think that will get in the way of engagement,” O’Malley said after a recent stop in Mission, the heart of his old legislative district. For the moment, Wink Hartman is the only clear conservative to have announced. But the Wichita businessman, who lost a 2010 bid for Congress, is working to broaden his appeal. In a carefully crafted campaign video released shortly after Trump’s inaugural, he reached out to voters looking for a Kansas version of Trump and to rank-and-file Republicans discouraged by the state’s struggles under Brownback. For the first time in a long time, there will be competition on the Democratic side too. Former Wichita Mayor Carl Brewer was the first to announce. He points to his experience leading the state’s largest city through the Great Recession. 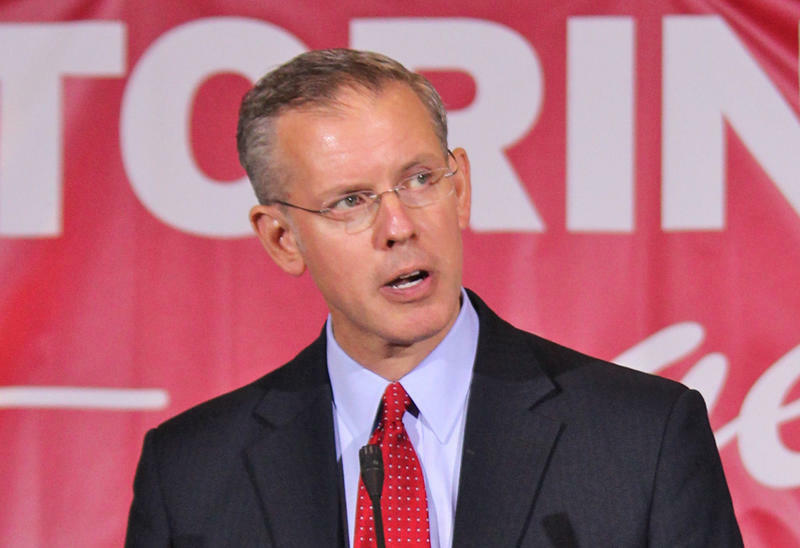 For a while it looked like Paul Davis, the former minority leader of the Kansas House who narrowly lost to Brownback in 2014, might try again. But he’s now pivoted to the 2nd District congressional race. That created an opening for former Kansas Agriculture Secretary Joshua Svaty. In announcing his candidacy last week, Svaty — who is also a former state legislator — made it clear that he intends to make Republicans answer for Brownback’s economic policies. “We have to fix the problem. 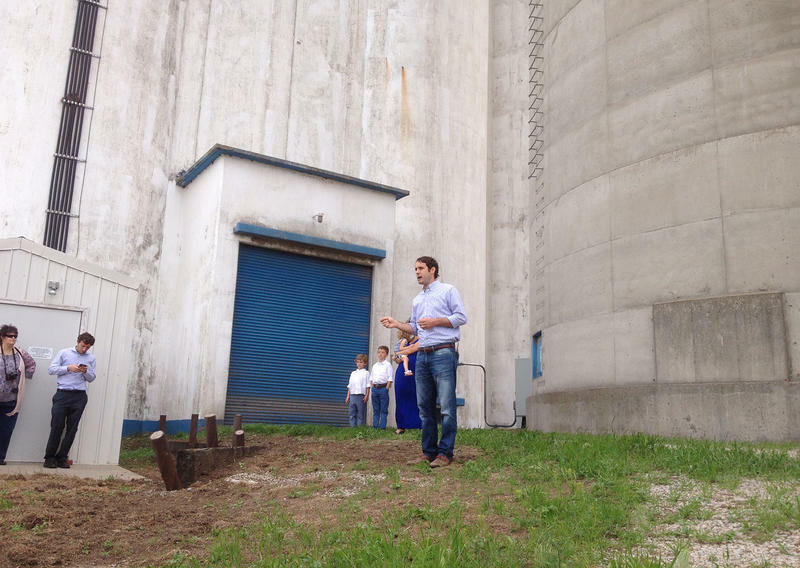 We can no longer be a petri dish for economic theory,” Svaty said at a launch event staged at a grain elevator near his hometown of Ellsworth. 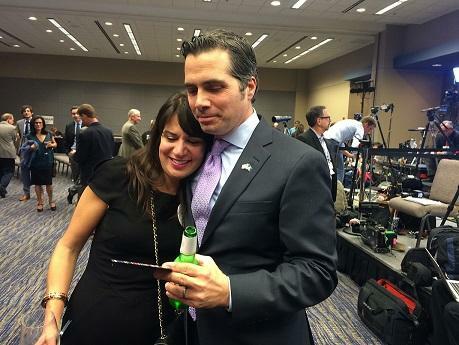 Greg Orman, who ran as an independent candidate in 2014 for the U.S. Senate, is declining to talk publicly about the governor’s race. But people close to him say he’s running. Republican Lt. Gov. Jeff Colyer is a wild card in all this. He might run, particularly if he is tapped to serve out the remainder of Brownback’s term should the governor leave early. But Greg Orman may be the biggest X factor. Running as an independent, Orman gave Republican U.S. Sen. Pat Roberts a scare in 2014, forcing him to spend heavily in the final weeks of the campaign to retain his seat. For now, Orman is declining to talk publicly about the governor’s race. But people close to him say he’s running.